Last year during AzureCon Microsoft announced the development of the N-Series Virtual Machines on their public cloud platform, Azure. 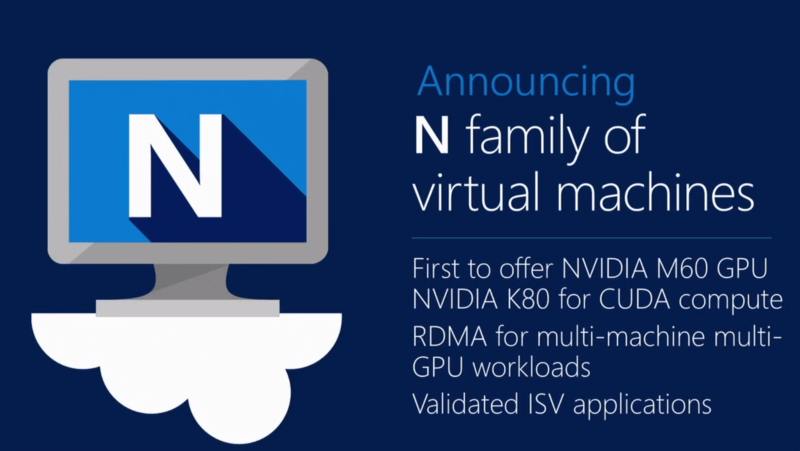 These Virtual Machines were promised to be able to run all workloads in Azure, including graphic-intensive workflows. Microsoft kept their promised, so earlier this month they announced the availability of the Preview . Now you can opt-in to test-drive the fastest Virtual Machines in the Public Cloud market. N-Series instances are enabled with NVIDIA GPUs to allow you to run GPU-accelerated workloads and visualize them. These sizes come with the agility you have come to expect from Azure, paying per-minute of usage. The N-Series VMs will be divided into 2 categories, NC and NV series Virtual Machines. With the NC-Series (compute-focused GPUs), you’re able to run compute intensive HPC workloads. These machines are powered by Tesla K80 GPUs and offers the fastest computational GPU available in the public cloud. The results come close to bare-metal performance through discreet device assignment (DDA). The Tesla K80 can deliver 4992 CUDA cores with a dual-GPU design, up to 2.91 Teraflops of double-precision and up to 8.93 Teraflops of single-precision performance. The NV-Series is focused more on visualization. Data movement has traditionally been a challenge with HPC scenarios using large datasets produced in the cloud. With the Azure NV-Series, you’ll be able to use the Tesla M60 GPU combined with NVIDIA GRID in Azure for desktop accelerated applications and virtual desktops. With these powerful visualization GPUs in Azure, you will be able to visualize graphic-intensive workflows and run single precision workloads such as encoding and rendering. 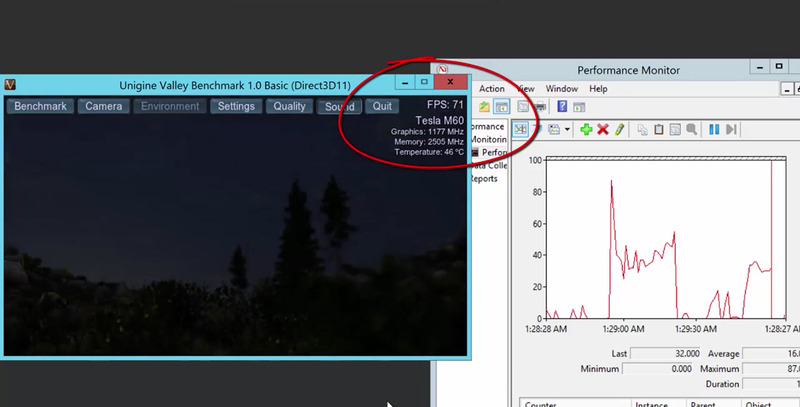 The Tesla M60 delivers 4096 CUDA cores in a dual-GPU design with up to 36 streams of 1080p H.264. The preview will start in South Central US Azure region initially and will expand to additional regions in the next couple of months as Microsoft approaches General Availability (hopefully) before the end of the year. To learn more about the technology and use cases for N-Series, check out the Channel 9 video, or the Tuesday’s with Corey episode on this topic. Pricing information can be found on the Virtual Machines pricing page. Don’t forget to look into the South Central US region for the moment. If you want to sign up for the preview, please use this link.